The 304 counties where a median-priced home in the first quarter was not affordable for average wage earners included Los Angeles County, California; Maricopa County (Phoenix), Arizona; San Diego County, California; Orange County, California; and Miami-Dade County, Florida. Meanwhile, the 142 counties (32 percent of the 446 counties analyzed in the report) where a median-priced home in the first quarter was still affordable for average wage earners included Cook County (Chicago), Illinois; Harris County (Houston), Texas; Dallas County, Texas; Wayne County (Detroit), Michigan; and Philadelphia County, Pennsylvania. Already, the "hottest" housing markets are seeing an exodus of working- and middle-class individuals who can no longer afford to pay the high rents - let along afford to set aside enough money for a down payment. 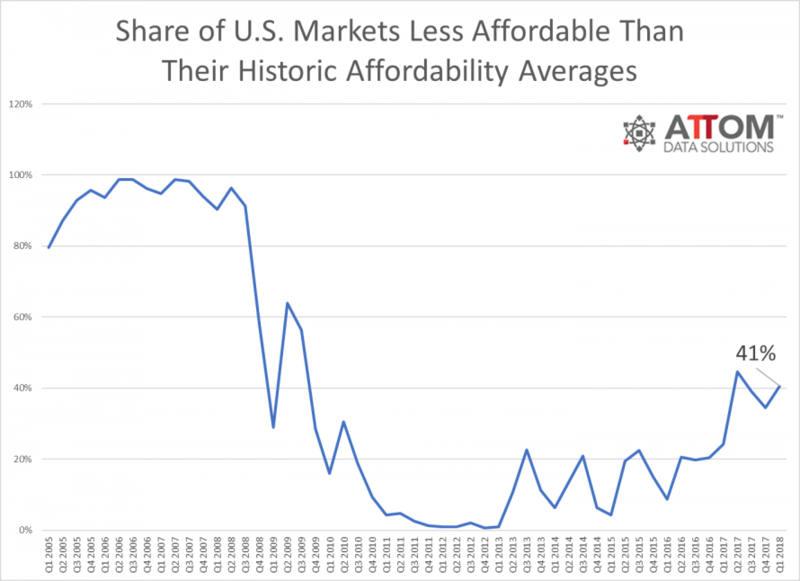 Furthermore, ATTOM's data found that this problem is getting worse, not better, with 41% of housing markets less affordable than their historical average during the first quarter. That's up from 35% the quarter before. Meanwhile, a staggering 73% of markets posted worsening affordability compared with a year ago, including Los Angeles, Cook County (home to Chicago), Maricopa County (Phoenix) and Kings County (Brooklyn). The counties where the average wage earner would need to spend the highest share of their income to buy a median-priced home are Baltimore, Bibb County (Macon, Georgia) and Wayne County (Detroit). 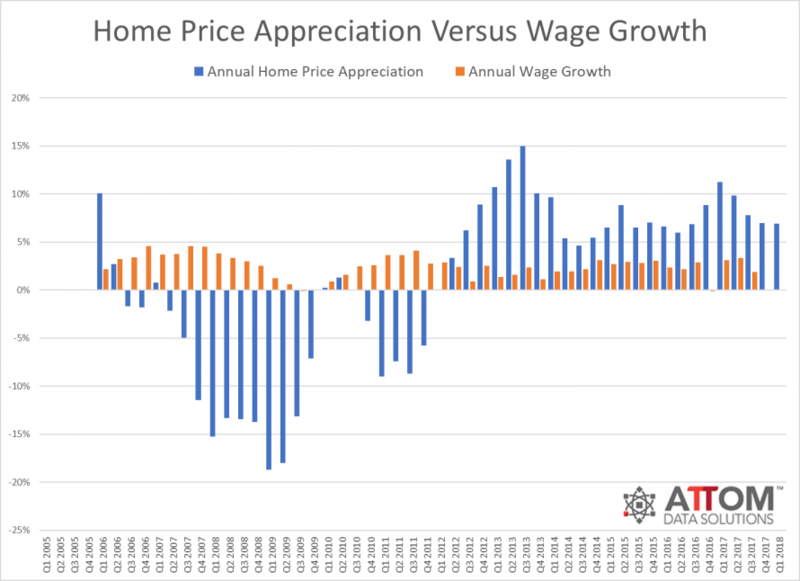 Continuing with the trend of home prices rising more than twice as quickly as wages, home-price appreciation outpaced wage growth in 83% of housing markets. When Fed Chairman Jerome Powell warned last month that "valuations are still elevated across a range of asset classes" and that he fears "signs of rising non-financial leverage" it's possible that he was still understating the problem.